LSS Mentor Volunteer, take a look at the step by step process. Complete an application and background release form. Submit online, mail or fax the completed application to Lutheran Social Services using the contact information on the form. Please be sure to complete all blanks on the application before submitting! Upon successful completion of the background screening, which includes a criminal records check, outstanding warrants check and personal reference checks, volunteers are sent an email indicating that they have cleared the application process and are ready for training. Mentors must attend a mandatory training and orientation session before their first interaction with the student. School personnel, in cooperation with LSS Mentoring Services, match the mentor with a student and work with mentors to schedule a time to mentor. The Everyday Heroes program takes place at various times throughout the school day and can vary according to your schedule. For example, many mentors meet over the lunch hour. In the Everyday Heroes program, students work with their mentor to decide what they will do at each meeting. 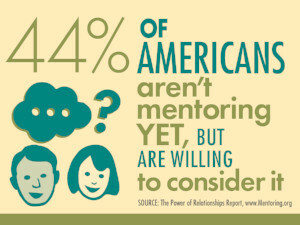 Mentors and students may be involved in a variety of activities, such as working in the computer lab, reading a book, playing basketball at the gym, eating lunch, playing games, completing art projects, or just "hanging out".